Having visited India often, you would not have enough time to perform all of your tasks. 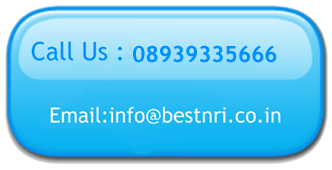 Welcome to BESTNRI (Bureau of Efficient STrategies for Non-Resident Indians) services. We are ready to shoulder your responsibilities, tasks in the jurisdiction of Chennai and Tamilnadu to start with for a small service charge. Nevertheless, we would take up tasks of other centres/places as well depending upon the nature of job entrusted, our franchisee/branch locations in such centres/places. At BESTNRI we provide all kinds of property & taxation services, Medical & Travel related services and other Miscellaneous services like Event management, Parental Care, performing rituals on your behalf etc. The rates will vary depending upon the category of services rendered.